Circle of Family: Julian Anderson Wilson – Tell my story. Jule and Julian Wilson in the 1940s. In the quest to find intimate details about Emmett, I’d always thought that the person who would have known him best, the person who would have been closest to Emmett was his twin brother, Julian Anderson Wilson. Julian was named for Elizabeth Maxwell Wilson’s stepmother, Julia Anderson Hawkes Maxwell. He was born at Hope, Toledo Settlement, British Honduras on September 17, 1882. Julian and Emmett were fraternal twins; where Emmett has dark hair and brown eyes, Julian had blond hair and blue eyes. Both Emmett and Julian attended Chipley public schools up until about age 16; they both started working at the Chipley railroad depot (their older brothers Frank and Meade put in good words for the twins); they worked their way up the ranks, both eventually becoming telegraphers. Emmett headed off to college in 1899; Julian stayed with the railroad, then went to work as a telegrapher for a shipping company on the Chattahoochee, then back with the L&N railroad, eventually becoming an auditor based out of Montgomery, Alabama. Did he talk about his family? Did Jule think that was unusual? “Perhaps. But then, he was a quiet man. I think people of that time just didn’t talk about their families.” Jule said she knew Emmett was once a U.S. Congressman, but that was all. Nothing was said about Emmett personally. No anecdotes. Julian never described his childhood; because he was so quiet about his family, I certainly don’t think he would have ever voluntarily talked about Emmett’s (or anyone else’s) alcoholism. That makes sense. Emmett had a sad ending related to addiction; something that, even today, with all that we have learned about alcoholism and how to deal with it, people have trouble talking about. Despite the fact that Jule didn’t know anything about Emmett, or, his relationship to Julian, I don’t think the twins were estranged — at least, not until around toward the end of Emmett’s life. I have different clips from several different newspapers, between the years 1900 and 1912, where it is mentioned that Emmett and Julian were visiting their father in Chipley for a weekend, or a few days; I have another clip that specifically mentions Emmett and Julian spending a weekend with their father that coincided with their birthdays. I also have an article in which Emmett tells a reporter about a joke he and Julian played on a local barber when they were both living in Chipley. Clearly, the brothers got along. They had fun together. There was a regular rapport between them; at least, before Emmett became a U.S. Congressman. I don’t think this was a case of jealousy on the part of Julian over his twins’ success: I believe Julian was happy that his brother was achieving his professional goals. But, Emmett was moving in different circles; Julian was spending most of his time in Montgomery, Alabama, as he was becoming more senior with the L&N management offices there. 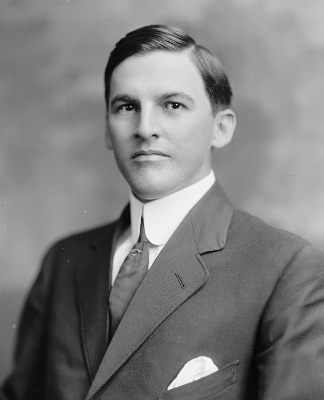 As of 1912, when Emmett was running for office while trying to serve as State’s Attorney, he on the road constantly. It may have been as simple as the twins weren’t seeing each other much. Then, there was the alcohol issue. By 1912, Emmett was a full-blown alcoholic. Whereas Emmett could ‘hide’ the heavy drinking and its after effects easier in years before, his excesses were becoming noticeable; friends and colleagues who had a vested interest in Emmett’s becoming a Congressman were helping to cover it up. Did Julian said something to Emmett about it, to help him? Perhaps. But Julian may not have noticed how bad things were with his twin until it was too late. We do know is that Emmett’s ambition and alcoholism became the center of his life. Julian, on the other hand, fell in love with a lovely young widow with two daughters in Montgomery; he married and settled down. A year later, in December, 1917, Jule was born. Did Jule ever meet Emmett? She isn’t certain; she could have, if her parents took her to meet her grandfather in Chipley, and perhaps Emmett was there. Jule said she would have been too young to remember it if she had met him, as she was only six months old when Emmett died in 1918. Pingback: A Decent Year – Tell my story.